A nicely varied two-night itinerary for those who want to see a lot in a short time. 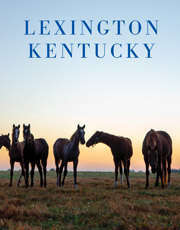 Begin with the Kentucky Horse Park, one of the state&apos;s most popular attractions. It&apos;s over 1,200 acres of exhibits, museums, pastures, and competition facilities. 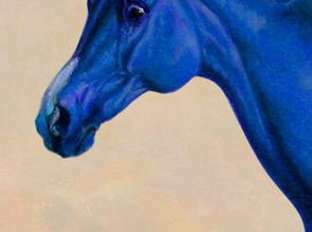 Right next door is the American Saddlebred Museum, which explores the heritage of America&apos;s oldest registered breed of horse. Schedule a morning tour of The Thoroughbred Center where tomorrow&apos;s champions are in training. It is the temporary home of about 1,000 young horses who are there to learn how to behave like a race horse.You are sure to spot some future super stars. Spring through fall, enjoy lunch at the Ginkgo Tree Café, an outdoor eatery at Ashland, The Henry Clay Estate. Next, head to one or two of Lexington&apos;s other historic homes: the Mary Todd Lincoln House, the Hunt-Morgan House and the Waveland State Historic Site. Can&apos;t decide which ones to visit? Read our Idea Guide article Historic Homes and Places if you need some background information to help make up your mind. Travel along US 68 from Lexington to Harrodsburg and wind your way to Shaker Village of Pleasant Hill. The drive takes you past horse farms and the Kentucky River Palisades. After touring Shaker Village, the largest restored Shaker Village in the world, take a ride down the Kentucky River on the Dixie Belle Riverboat. 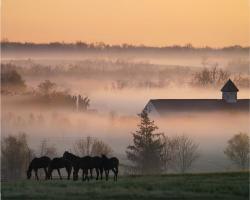 Have lunch at The Trustee&apos;s Office at Shaker Village then visit a private horse farm. Reserve a seat in advance on a regular tour, hire a private guide, or "hoof- it" yourself. Just remember, visiting private horse farms takes advance planning. It&apos;s worth it. In spring and fall, see live racing at Keeneland Race Course or the Red Mile Harness Track. You can wander the grounds of either facility year round.